A herbaceous plant not valued for use or beauty, growing wild and rank, and regarded as cumbering the ground or hindering the growth of superior vegetation… Applied to a shrub or tree, especially to a large tree, on account of its abundance in a district… An unprofitable, troublesome, or noxious growth. A troublesome, noxious growth – sounds about right to me! You may be able to hire a landscaping contractor to come in and mow, trim, seed and weed. 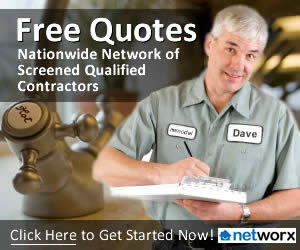 But the vast majority of homeowners prefer and take pride in having a nice yard that they have cultivated themselves. 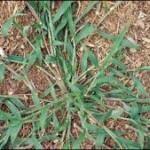 Proper lawn fertilization techniques can go a long way in preventing the initial growth of weeds as well. Although getting rid of some weeds is next to impossible, if you learn how to identify them you have won half the battle. In this DIY Reviews article in our Lawn and Garden section, we will give you some tips on how to identify weeds and also, how to get rid of them. 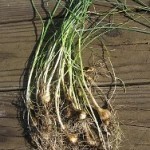 Wild Onions: If you have ever cut your lawn and all you can smell is onions, it means you have tons of wild onions growing in your yard. 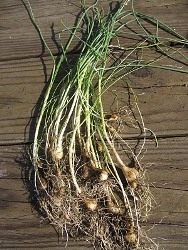 Easy to distinguish, wild onions actually look like thick blades of grass growing in the middle of your lawn. If you were to dig one up, you will see that they start from a small bulb, just like flowers. Get rid of them: In the spring, before seeds start to germinate, you can cover you soil with mulch to suffocate them. There is also a process called solarization. Directions for solarization can be found at Weekend Gardener. 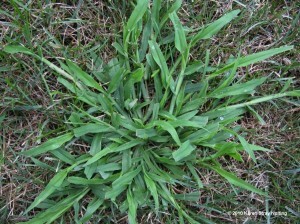 Crabgrass: Once crabgrass starts to take over a lawn, it is extremely difficult to get rid of. 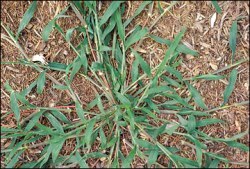 If the seeds of crabgrass have been left from the previous year, this weed will start to germinate in the Spring all over again. Get rid of them: Fertilize your lawn during the Fall instead of the Spring. If you fertilize in the Spring, this is when crabgrass is germinating and you are basically feeding it. Pre-emergent herbicides can be applied in the Spring BEFORE the seeds start to germinate. 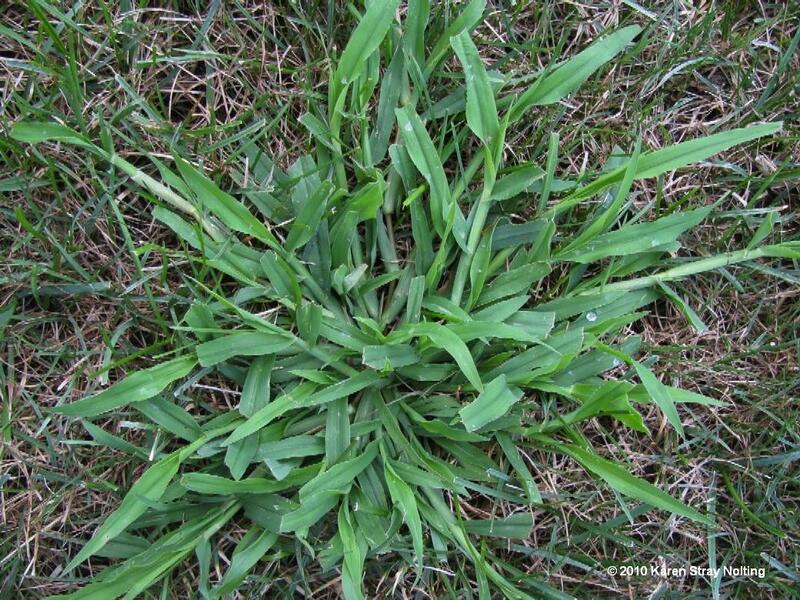 Post-emergents can be used after you start seeing the crabgrass, but it is usually does not have a widespread effect. Plantain: Most prominent in gardens, plantains are perennials, which means it comes back every year. The leaves are usually very dark green or almost purple and the flowers are spikey and white. Get rid of them: If you only have a few of them you can remove by hand – make sure you pull up the entire plant. You can also use a broad leaf herbicide, but be careful not to kill other broad leaf plants that you want to keep. 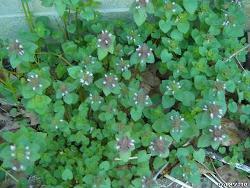 Henbit: A lot of people mistake this weed for an actual plant because of the small purple flowers they have. 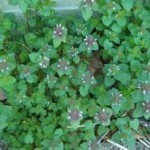 This weed is usually one of the first to arrive in the spring and it spreads like wildfire. 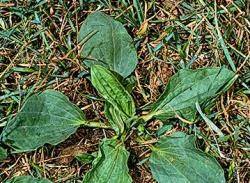 Get rid of them: One of the best ways to rid your lawn of this weed is to use a pre-emergent herbicide or you can try pruning the bud tops off. Mulching is very important as well as it promotes the growth of good plants, while smothering the weeds. 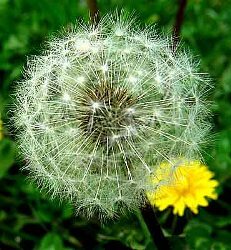 Dandelion: Most everyone knows what dandelions look like because we played with them as kids – blowing the seeds into the wind – and all over the yard. 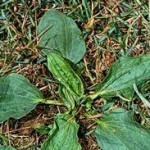 Get rid of them: Once this weed grows from the seed to the yellow flower, it is next to impossible to eliminate. To rid your yard of them you must dig them up by the root and dispose of the root, stem and dirt around them. Soil aeration can usually handle the problem as part of getting your garden ready for planting. Also be sure to avoid over watering in the these areas. 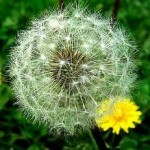 Above are the most common types of weeds and how to rid yard of them, but there are a few other steps you can take to stunt the growth before they become a problem. Don’t fertilize during the summer – instead, choose early spring and fall. Cut at a higher level to avoid spreading the seeds and use a bagger on your mower. Rake up after mowing and remove clumps. Weeding your yard can be one of the most difficult tasks to complete on your lawn, and there are different processes you should follow for preventing weeds in the winter and preventing them during the summer. Weeding is an integral part of getting your lawn and garden ready for spring and summer and if you don’t take care of it, weeds will smother out your entire lawn. If you try and fail, or feel like you just need a fresh start on your lawn, it may be best to hire a professional landscaper to get you started in the right direction. You can also ask them for direction so you can keep your lawn looking great all year! Have you battled with weeds in your yard? If so, please comment and give us your tips and tricks!